Rock stars and famous musicians are known for living on the edge and dying young. Drugs and alcohol abuse has claimed the lives of many great artists in their prime. Other than substance abuse, it appears that aircraft tragedies is a major cause of many promising stars to die young. In our previous two articles we told the story of The Day the Music Died and the tragic crash that took the lives of the Skyneyd band. The one common thread to both of these stories is that the tragedies took place while the stars where on tour. While many other famous musicians were killed in plane crashes, here are some other Tragic Aircraft Crashes that happened while the artist was on tour. Jim Croce was 30 years old at the time of his death. On September 20, 1973, Croce was killed in the crash of a chartered plane upon takeoff from the Natchitoches Regional Airport in Natchitoches, Louisiana. Croce had just completed a concert and was flying to Sherman, Texas, for another concert. Croce had just finished recording the album "I Got a Name" just over a week before his death. It was released in December 1973 and would produce three hits: "Workin' at the Car Wash Blues", "I'll Have to Say I Love You in a Song." 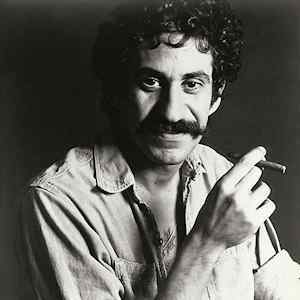 Jim Croce is best known for the songs "Bad, Bad Leroy Brown" and "Time in a Bottle," both number one hits on the Billboard Hot 100 charts. Ricky Nelson was 45 years old at the time of his death. Nelson and his band were on a three stop tour of the Southern United States. On December 31, 1985, the band boarded their chartered jet in Guntersville, Alabama for a New Year's Eve show in Dallas, Texas. Four hours into the flight the plane caught fire and crashed. Nelson and his fiancee, Helen Blair, and several members of his band were killed in the crash. As the son of famous parents, Ozzie and Harriet Nelson, Ricky was known for his roles on television. Nelson also starred in the western film, Rio Bravo with John Wayne. As a musician the songs "Poor Little Fool" and "Travelin' Man" would both chart at number one for Nelson. Stevie Ray Vaughan was 35 years old at the time of his death. on August 27, 1990, four helicopters were being used at night to transport a concert group from Elkhorn, WI, to Chicago, IL. The third helicopter carrying Stevie Ray Vaughan with members of Eric Clapton's tour crew crashed into the side of a hill. There were no survivors. Stevie Ray was the younger brother of Jimmie Vaughan and frontman for Texas blues rock group Double Trouble. He was nominated for 12 Grammys, winning six. Stevie Ray Vaughan is widely considered one of the most influential guitarists of all time. 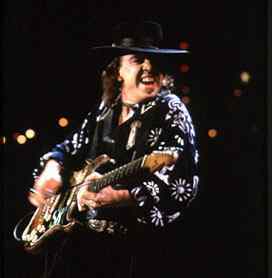 The Stevie Ray Vaughan song "Crossfire" would hit number one on the Billboard Mainstream Rock charts in 1989. We can only imagine what loss the music world suffered when all these bright stars died so young.